While some things in life should be treated equally – used car dealers are not one of them. With so many options for used car dealers in Albany, NY to choose from, it is especially important to do your research prior to choosing which one to buy your next new-to-you car from. Here at DePaula Used Cars, you can always count on receiving the highest level of customer care from a team of individuals who genuinely want to help you find the exact car you have your heart set on buying. As a part of the renowned and well respected DePaula Chevrolet family, DePaula Used Cars offers the same reputable services that customers of DePaula Chevrolet have come to expect. 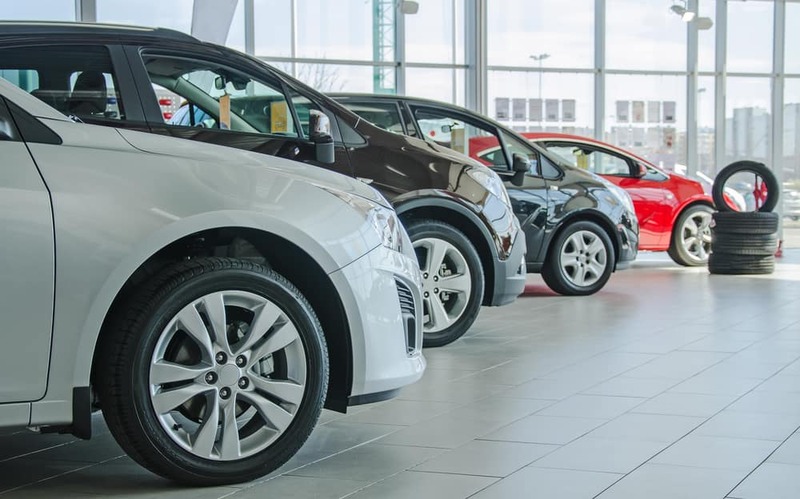 While our sister dealership focuses mainly on the new Chevrolet market, here at DePaula Used Cars, our attention is entirely on pre-owned cars, trucks, and SUVs from various automotive brands. We understand that buying a used vehicle can be a stressful experience, especially for shoppers who aren’t entirely comfortable with buying a car that had a previous owner. This feeling is entirely justified, especially when you buy a used car from a dealer who does not take the necessary steps to ensure that the vehicles they sell are only the highest quality available. DePaula Used Cars makes sure that every pre-owned vehicle we sell, meets a strict set of standards that mirrors the level of quality service we provide our customers. The DePaula name is well known around these parts, and is an added cushion that offers buyers ultimate confidence as they begin searching for a reputable used car dealer in Albany, NY. DePaula Used Cars offers something that other used car dealers in Albany, NY simply do not – a large inventory of high-quality pre-owned cars, trucks, and SUVs. While name-brand dealerships are hyper-focused on selling models from the same manufacturer that they represent, DePaula Used Cars is not tied down to one single automotive brand. Rather, we keep our options open, so that our customers have more quality used car options to choose from. One of the reasons why we are able to keep such a versatile inventory of used vehicles has to do with the way in which we find the used cars we sell. Most dealerships flock to auto auctions for their inventory of pre-owned vehicles, but DePaula Used Cars has a different approach, that we think benefits area residents just as much as it does our customers. When Albany, NY residents want to sell their current vehicle but aren’t quite ready to buy their next car, they turn to DePaula Used Cars. We buy cars from area residents for cash, which allows us to offer a more versatile inventory of quality used cars to our customers. In turn, those individuals are able to sell their vehicle quickly, and without the hassle of trying to do so on their own. DePaula Used Cars is able to help not only buyers in the used car market but also people who want to sell their car, without being obligated to purchase another one. When you come down to DePaula Used Cars, you will immediately notice just how effective this approach actually is. Our inventory is not only large, but offers a wider variety of options than other used car dealers in Albany, NY, and the surrounding cities. Our skilled technicians ensure that every vehicle we sell is in great working condition so that our buyers can have complete confidence in their used car purchases. Here at DePaula Used Cars, we are proud of what we are able to provide local car shoppers who are searching for a great pre-owned vehicle to buy. On top of our massive inventory of used cars, trucks, and SUVs, we provide our customers with plenty of benefits, known as our Driving Values. Transparent Pricing: There is nothing worse than going to a used car dealer in Albany, NY, and getting the runaround when it comes down to settling on the amount you will pay for your new-to-you vehicle. While these other dealerships thrive on the bait and switch method of car sales, that is not the case with DePaula Used Cars. When you come to our dealership, the prices you see on our used vehicles for sale, represent the price that you can expect to pay. This transparency allows us to focus on providing our customers with exceptional care, rather than be distracted by a long and drawn out, back-and-forth exchange. Our way is not only better, it is easier, faster, and keeps our customers happy throughout their entire car buying journey. Customer Focused: While it is true that we sell pre-owned vehicles here at DePaula Used Cars, the truth of the matter is, we aren’t in the business of selling cars – we are in the business of customer service. We strongly believe that your satisfaction as a customer is just as, if not more, important than whether or not we sell you a used car. Our knowledgeable team works with you, your budget, and your list of must-haves, to find you the perfect pre-owned vehicle you have been dreaming of owning. Sometimes that takes a short amount of time, and sometimes it takes longer – but regardless of how much time we spend with each one of our customers, what matters most is that they leave here feeling nothing but elation, satisfaction, and total peace of mind. 24/7 Availability: If you think of a question at two in the morning for our team, DePaula Used Cars is available to chat with you. With an online live chat service, e-mail, and team members standing by our phones during regular business hours – DePaula Used Cars is available when you need us most – guaranteed. Cash Offers for Your Car: Last, but certainly not least, is our commitment to purchase used cars from local residents, so that we can provide buyers with a better selection of quality used vehicles from every automotive manufacturer. If you want to turn your current vehicle into cash, come and see us at DePaula Used Cars. The process only takes a few minutes, and you can be happily on your way with a check in hand. It’s easy, and just another way we are able to better serve our customers and our community. DePaula Used Cars is a used car dealer that is changing the way people are buying and selling vehicles. We don’t play games, and our prices are always transparent and reflect the current market value of each vehicle we sell. If you are sick of the gimmicks that so many other dealers turn to in order to make a sale, then we hope you will give DePaula Used Cars a chance to provide you with a used car buying experience unlike any you have ever had.